BestCare Products was set up in 1997 by German born husband & wife team Hermann & Nicole Keppler. Hermann Keppler ND is a qualified Naturopath, Homeopath and Nutritionist, and founder of the College of Naturopathic Medicine. Over the years BestCare has been on the lookout for innovative ranges that fit our criteria of wholefood and alkalising from experts in a particular field and are sole distributors of Jentschura and Robert Gray, and carry other expert quality brands such as MicrOrganics and Activa, to name a few. Browse our website for more information about these. 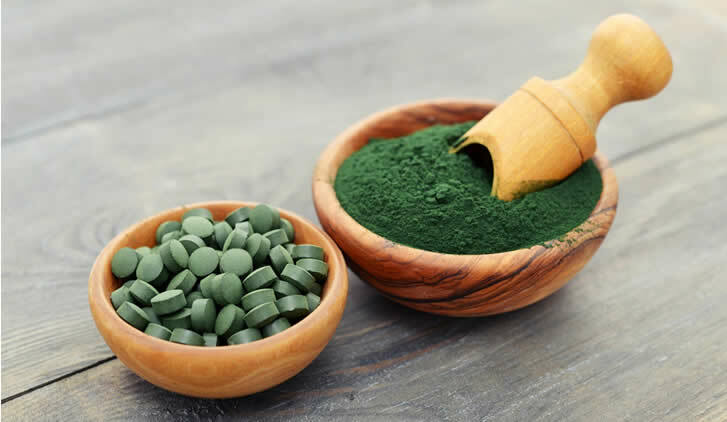 MicrOrganics UK are the UK supplier of the finest quality Hawaiian Pacifica Spirulina and Bio-Xanthin (Natural Astaxanthin). Organic Uberfood™ the new superfood - has been introduced under the key brand MicrOrganics. Organic Uberfood has been designed to bring as many nutrients to you from nature’s finest wholefoods as possible. No single vitamin or mineral works alone and that’s why we felt it important to provide a full nutrient profile from natural, organic sources with all the phytonutrients within for maximum absorption and benefit. The high protein content from the individual ingredients means our Uberfood is a rich source of plant based protein suited to all diets including vegetarian and vegan. We’ve used freeze dried whole ingredients – not just juice powders. This means not only are all the nutrients preserved in the process, but the natural fibre ends up in your glass, where you need it. Bestcare Himalayan Crystal Salt is a premium quality wholly natural Crystal Salt from the foothills of the Himalayan mountain range. With nothing added and nothing removed you can rest assured that our product is as pure as it comes. We don't use chemicals to process our salt or add anti caking agents, we want to make sure you get all the benefits Bestcare Himalayan Crystal Salt has to offer. With 84 naturally occurring minerals and trace elements, in a form that does not harm the body, Himalayan Crystal Salt is the natural choice for all your culinary and health salt needs. Did you know that Bestcare’s Himalayan Crystal Salt has many uses other than to season food? Check our information pages to see how you can use it as an eye rinse, nasal flush, moon bathing (it’s not as strange as it sounds!) and much more. 1. An Intestinal Cleansing Formula in tablet form that softens and loosens the hardened mucoid plaque lining the intestines. 2. A Bulking Agent in powder form that absorbs and lubricates the loosened mucoid material and sweeps it from the intestinal tract while promoting growth of implanted lactobacteria. 3. About four to five minutes of full body skin brushing a day to purge the lymphatic system. Activa Well-Being, from our French neighbours, Laboratiores Activa, bring cutting edge technology and science to every product they produce. Each capsule contains microgranule technology which coats the active ingredient for sustained and controlled release into the digestive tract. Depending on the product, release can be slowly released, delayed or have more the one release stage. These microgranules also buffer the ingredients from the stomach acid thus ensuring that 96% of the active ingredients are protected ready for absorption. All of the Activa Well-Being products have been designed with synergy in mind. Ingredients have been chosen for the efficacy and absorption to make sure you get the most benefit. All these factors mean that less needs to be taken because it is more bioavailable. The Activa Well-Being products do not fight against a symptom, but seek to strengthen the body's natural self-regulation so that it recovers all its vitality. All natural with some help from science!